Retailers weigh in outdoor lighting’s heavy hitters. If interior lighting is the delicious strawberry cream cheese filling between the perfect layers of sponge cake, then outdoor lighting is, of course, the icing on the cake. (Or maybe we’ve just been watching too much of “The Great British Bake Off.”) But, in all seriousness, carefully chosen outdoor lighting goes a long way toward enhancing your clients’ curb appeal. It does some heavy lifting, too. A well-lamped and perfectly timed lantern, pendant, sconce or post light provides safety and security as well as the finishing touch on your client’s home sweet home. As usual, retailers have their finger on the pulse of what’s new and what’s flying off the shelves. Read on to find out what retailers across the country choose as their favorite new outdoor lighting collections. We have two stores, each with a unique customer base and design trends. In our New Lenox, Illinois, store, two of our strongest outdoor families are Kichler’s Fairfield (top left) and Beacon Square (top right). They rock because: They’re a good value and easy to maintain and re-lamp thanks to their open-bottom designs. In our Chicago store, we love the redesigned two-light outdoor wall cylinder (bottom center) from Kichler. The simple up/down light has been a customer go-to for years, but now the company offers it in LED. It rocks because: It’s clean and minimalistic in design, and customer demand for LED drives its popularity. Interior designers and architects should take outdoor lighting seriously because: There are many people who are never going to see the inside of a home, so their only impression will be the exterior. You can wow your clients by properly finishing the exterior. 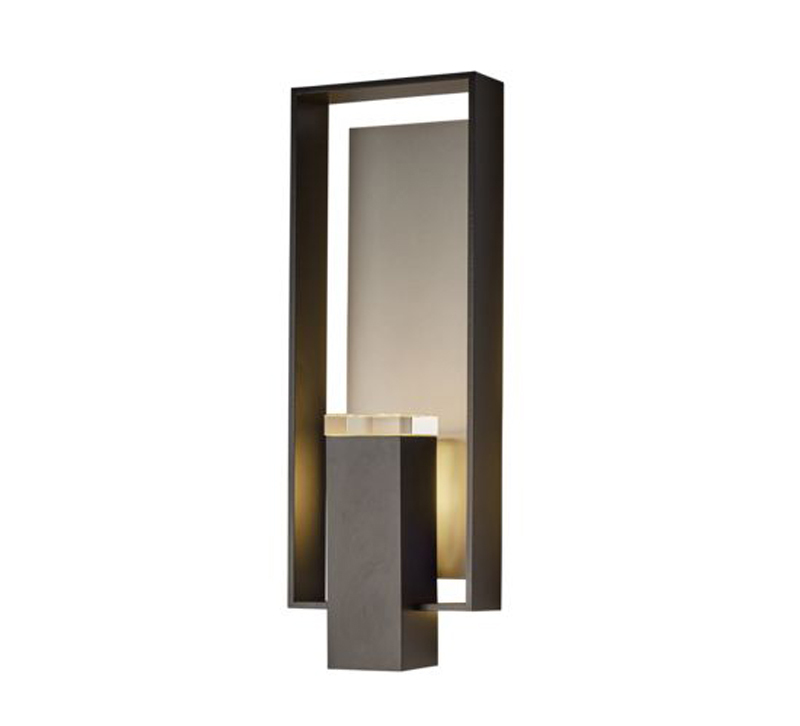 My favorite new outdoor collection is Shadow Box by Hubbardton Forge. It rocks because: I love the simplicity as well as the versatility of this modern outdoor wall sconce. It has a crystal optic accent that gives it an added touch of elegance, and its smooth architectural lines lend themselves to so many applications. We can always find one that meets clients’ needs. Good outdoor lighting is important to our customers because: Many of our clients reside by the beach and are, rightfully, concerned about the durability of their outdoor fixtures. Hubbardton Forge has a new Coastal finish that both enhances the exterior aesthetic of the home and holds up to coastal conditions like wind, salt and moisture. 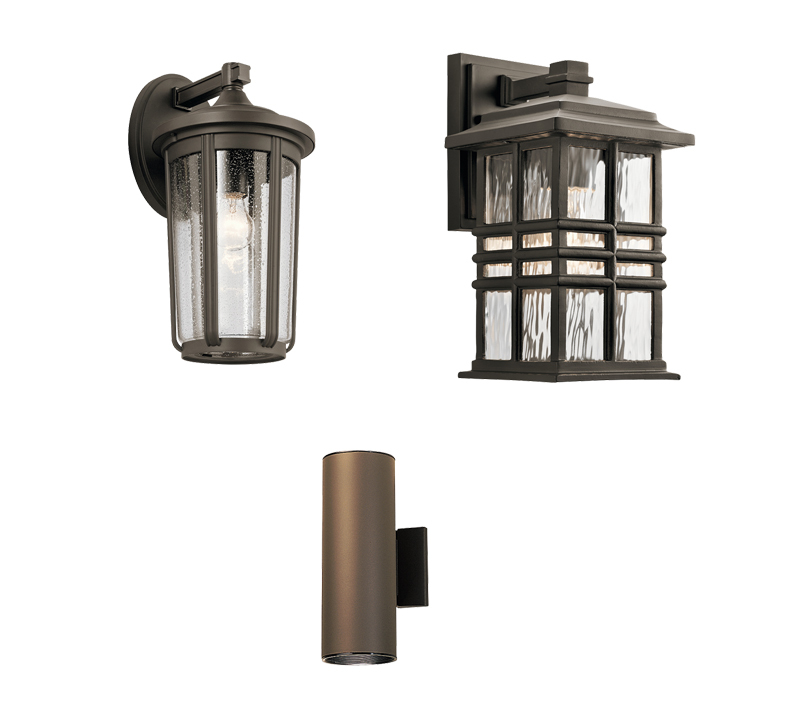 Outdoor lighting has come a long way in terms of the sheer number of style and finishes available. I really like Kichler’s Argyle collection. It rocks because: It has a beautifully textured gray finish called Weathered Zinc and a crisscross pattern and seeded glass that give it a coastal feel. I also like Capital Lighting Fixture Company’s Tory family. It rocks because: It’s a simple, classic design with clear organic glass. It’s also open at the bottom, which means bugs can’t collect, and it’s very easy to clean. Our customers are looking for outdoor lighting that’s: Easy to clean and lasts a long time. LED outdoor fixtures are the answer to that. 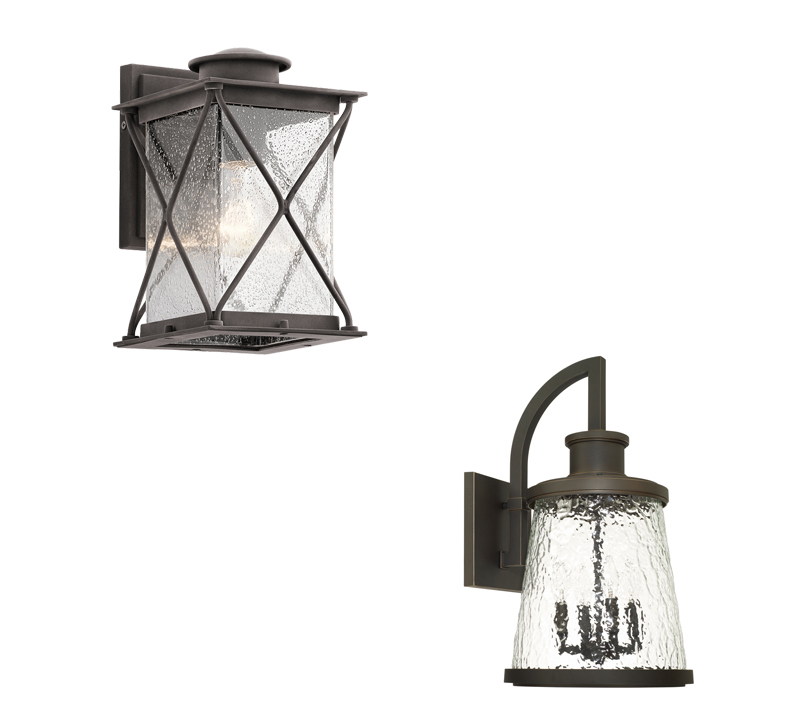 What is your favorite outdoor lighting collection? Share with us in the comments.